The winter clearly isn't over yet—but it's never too early to start thinking about the next one. We all knew it was too good to last. The Max Pass, that is. After its three-season-long run, the sun’s setting on the best ski pass in the land—at least in Upstate New York. 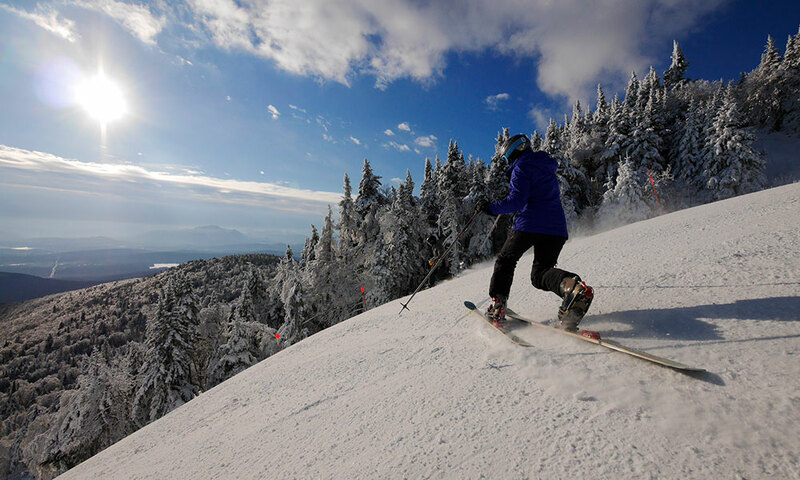 Unlike regular season passes, which give skiers and riders unlimited access to one mountain per season, the Max Pass has offered Upstate New Yorkers five ski days at more than 40 resorts, from Maine to Alaska. The concept is anything but unique: the Epic and Mountain Collective passes both provide access to multiple resorts. But for Saratogians, the Max, which included 17 ski areas in the Northeast—nine of which were within a three-hour drive—was a no-brainer. And if you were planning a week-long trip out west, where day passes are typically north of $150, the sub-$800 Max Pass paid for itself. Clearly, I’m a little shaken up by the Max’s discontinuation. Especially because its successor, the Ikon Pass, which went on sale yesterday, is a downgrade for skiers from this area: only three areas on the pass are within three hours of Saratoga. The pass was created to rival the big-resort, Rocky Mountain-centric Epic Pass; and it does, offering unlimited or limited skiing to areas including Mammoth, Jackson Hole and Killington. But in doing so, it omits the smaller, less commercially developed mountains closer to Saratoga, like Gore, Whiteface and Pico. So what are us Capital Region ski bums to do? How do we get the best bang for our buck with the most skiing? The obvious move is to go with Gore. It’s only an hour from Saratoga, and since 2013, a pass will not only get you unlimited access to the North Creek area; but to Whiteface and Belleayre, the other New York State-owned ski areas. It’s called the Ski3 Pass, and for $759 if purchased before August 17, it’s a pretty good deal: You get three great mountains within 2.5 hours of home. If you’re the resort type and not afraid of a little traveling, go all-in for the all-new Ikon Pass. Trail-side condo living, après ski specials and luxury in-lodge restaurants await for the price of $899. You’ll get seven days each at Killington and Sugarbush; and unlimited days at Stratton, Tremblant and a handful of other areas out west. A family friend of mine’s favorite, this option is for people who don’t want to be tied down. By not purchasing a season pass, you’re not stuck skiing at one area, when another’s getting blasted with snow. There are also a few of ways of gilding the lily. I’d suggest attending at least one showing of a Warren Miller movie (he’s a famous ski/snowboarding filmmaker) at The Palace Theatre in Albany, where they give out a handful of free and reduced tickets; as well as one at Maple Ave Middle School in Saratoga, that’s good for a Gore freebie. 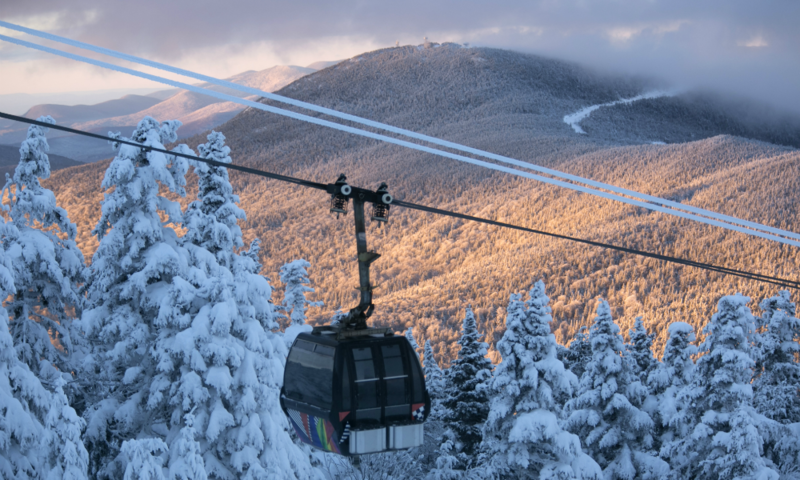 You can also purchase a few buy-one-get-one-free Killington tickets during preseason, which will keep you and a friend on the mountain from November to late spring (maybe even June, like last season). And don’t forget to keep an eye on Liftopia, which offers discounted day and multi-day passes if purchased in advance. If you’re like me and looking to ski the best snow on the best terrain for the longest time, go with the $899 Killington/Pico Pass supplemented with Gore’s Empire Card. Killington has long advertised having the longest season in the Northeast, so you’ll be able to ski before and after other areas close (except maybe Mount Snow, which has recently stepped up its snowmaking game). Then, during peak season, you can head to Pico for the same conditions, without the crowds. And since having Gore in our backyard’s just too great to pass up, the Empire Card—good at Gore, Whiteface and Belleayre—is a must-have. The $99 card gets you a free first day, as well as every sixth day free, plus discounted rates every other time you visit. In sum, the Max Pass may be history, but you still have options that won’t break the bank. However, my suggestion would be to decide soon: Most pass prices increase some time over the summer, and you don’t want to be stuck paying a couple hundred dollars more, just because you were late to act. It may still be the 2017-18 season (just look outside! ), but as ski enthusiasts know, it’s never too early to start preparing for next season.